First Listen: The Chieftains Featuring Ry Cooder Cooder's latest recording project is a cultural mashup of Mexican and Irish music called San Patricio. The album is performed by the Irish music icons in The Chieftains, along with Cooder himself and a handful of celebrated Mexican musicians. Hear the album in its entirety for the week leading up to its release. Audio for the feature is no longer available. The album was released on Mar. 9, 2010. Ry Cooder has a restless ear. Throughout his four-decade musical career, he's explored the music of Mexico, Africa, Hawaii and Cuba — even Tuvan throat singers — not to mention various strains of roots music in the U.S.
His latest recording project is a cultural mashup of Mexican and Irish music called San Patricio. The album is performed by the Irish music icons in The Chieftains, along with Cooder and a handful of celebrated Mexican musicians. 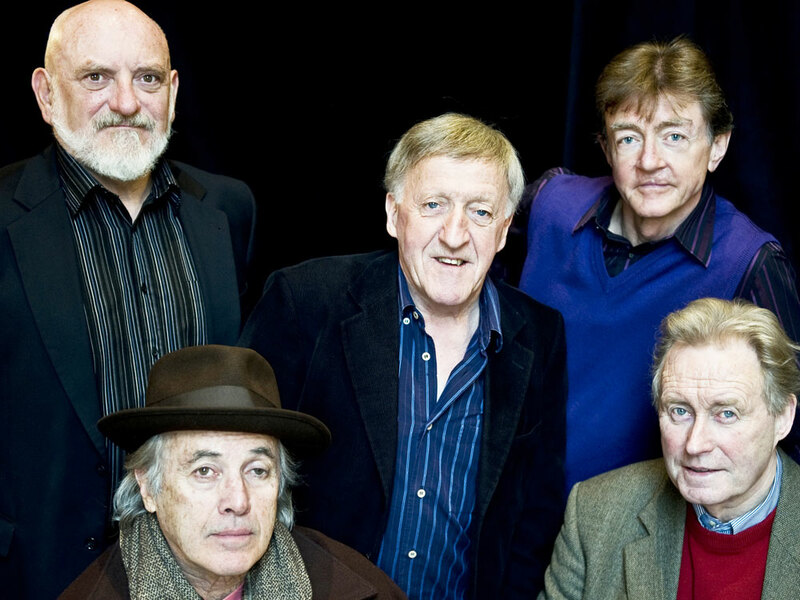 Ry Cooder (bottom left) collaborated with the Irish music icons in The Chieftains on San Patricio. Like other Cooder projects, San Patricio tells a story: A group of downtrodden Irish-immigrant soldiers deserted the U.S. Army in 1846 to fight for the Mexican Army in the Mexican-American War (1846-48). As you'll hear, the result pays heartfelt tribute to the soldiers of San Patricio (Spanish for St. Patrick), in the form of the Mexican music they might have heard during breaks on the battlefield, as well as Irish songs from their homeland.